Dr. Gale received his Doctor of Podiatric Medicine in 1985 from the Pennsylvania College of Podiatric Medicine, in Philadelphia. In 1989 he completed a four-year foot and ankle surgical residency at St. Joseph’s Hospital, also in Philadelphia. After moving to Bismarck ND, he founded Dakota Foot and Ankle in 1993. Dr. Gale has authored a chapter in McGlamry’s Comprehensive Textbook of Foot Surgery, 2nd ed., a leading medical text, published by Williams & Wilkins. 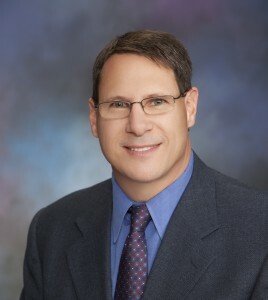 Dr. Gale also authored articles in the Journal of Foot and Ankle Surgery. 1993 –Flatfoot reconstruction - North Dakota State Association Meeting.